Coming from a weekend we drag ourselves to go back to our regular routine, spend your working hours at work and go home relax. Well, for me my usual routine after work would be preparing dinner for the family. This is the best, safest and economical thing to do instead of dining out or even buying food from the restaurant or fast food. 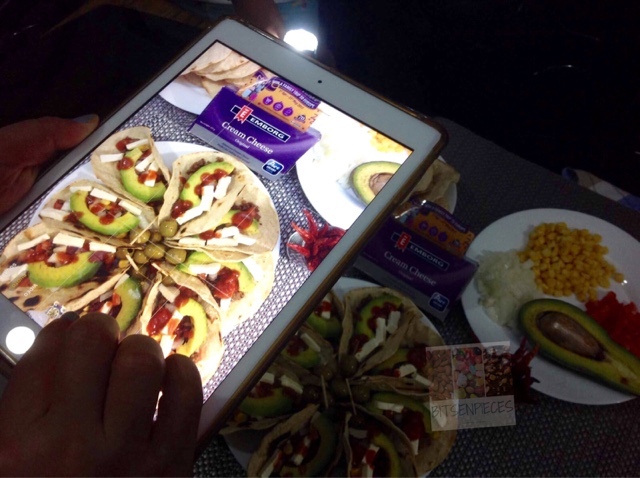 When preparing food at home you just need to be creative and fun and make sure that the food you're going to prepare is their favorite. Grocery shop for the ingredients or stock-up for some extra especially meat and spices. Have all the ingredients ready and accessible. Plan the perfect meal for the family. Know what your family loves to eat, their favorites actually. Do not overspend on ingredients. Plan and budget. 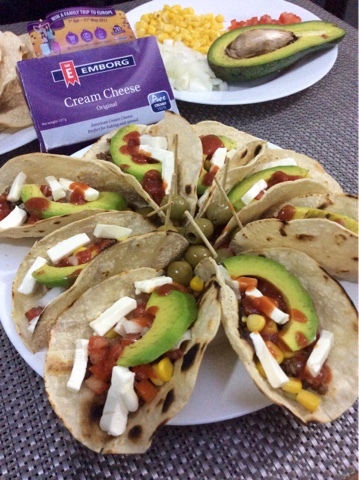 Yesterday, I had all the key ingredients for taco wrap and also adding something new and old from our newly discovered dairy brand Emborg. 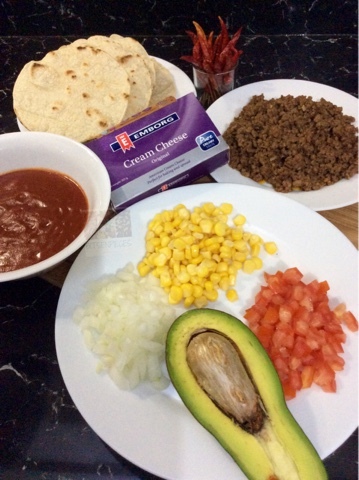 Check out my very easy to prepare soft taco avocado wrap from our dinner last night. The only thing you need to cook would be the ground beef, by sauteeing it in canola oil, minced garlic, minced white onion and crushed tomatoes adding a dash of taco powder for seasoning. The tortilla de Maiz wrap needs only a few minutes to fry without any oil in a non-stick pan. I used the crepe pan for this one as it can hold three discs of tortilla in one cooking. Until it turns golden brown or to whatever preference they want. Do not over fry it, it will turn chewy and crusty. 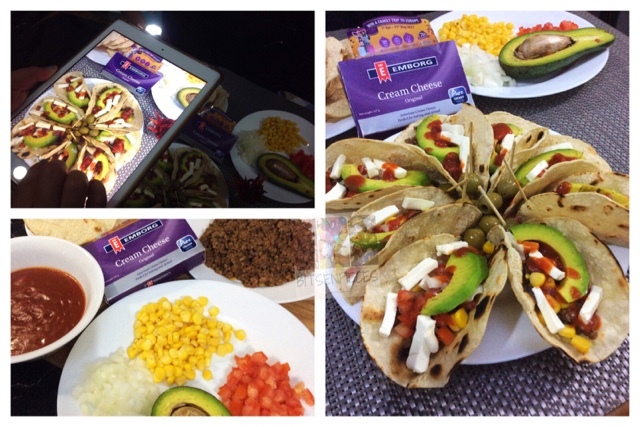 When all are prepared, time to set up the tacos by adding portions of everything in every wrap. I topped every shell with slices and bits of Emborg Cream Cheese as it will neutralize the spicy flavor of the beef and also the taco sauce I made. I must say that it turned out to be good and I still have a lot of uncooked taco shells which I can whip up on my next recipe. The taste of the cream cheese really complimented with the spicy flavor and it made my kids asked for more. It became a kid-friendly taco avocado wrap because of Emborg cream cheese on it. Emborg dairy products became my reliable source when it comes to cooking, baking, and everyday drink. When I discovered the product brand a year ago, it became my regular dairy product to have on my grocery list. Emborg dairy products are very budget-friendly. I always compare brand's prices and I can say that you can have cheeses and milk at an affordable price with the same and sometimes more than the quality of other brands. Enjoy good food with family and friends! Are you one with trendy and fashionable hairstyles, especially the ones in the season? Do you wish your hair can be styled differently depending on your mood, outfit of the day with the latest cuts and colors? I know many of you wishes for that because I do too! Nowadays, we have so many options to choose from without waiting for our hair to grow long so that we can style it the way we wanted. 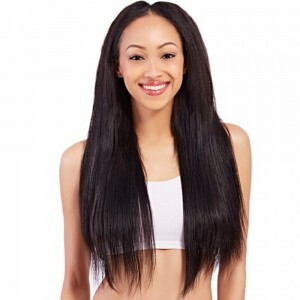 There are a lot of online shops that cater trendy and natural looking hairstyle extensions and wigs. They come in different length and colors too! In my previous post about hair extensions and wigs, I never stopped in scouting for shops online that provides this kind of product...I am always curious about it! Have you tried to wear hair extensions or wigs? I haven't and I am always curious about it especially when wigs and extensions are part of dressing up like those Hollywood stars. They wear wigs and extensions depending on their style when guesting or characters being played in a movie. 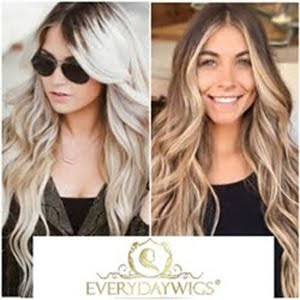 My newest hair extensions and wig shop are BestHairBuy.com. Their products vary from the clip in, colored weave, synthetic hair, wigs, extensions and also hair accessories. They have best-seller items which you can avail at a discounted price. Well, we all love the discounted price on items and if you can get to ship your orders on free-shipping that is another plus for us consumers. They provide free shipping worldwide with a minimum order of $139. Let's check on some product items and hopefully we can see something we like and love. Besthairbuy has all the collection of hairstyles you need. You can navigate to the section Shop by Collection. 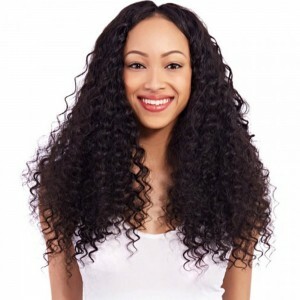 Also, another item you can check out is the 360 lace wigs. has a pre-plucked hairline for a more realistic look when worn. bigger partying space also will give a realistic look. 360 lace around coverage that suits best for ponytails and up-do styles. it will give you that full and thick appearance because of the 360 closure bundle. These styles are the closest for me to pick because of the brunette color hair and somehow has the same length as I have right now. From straight flat to volume curly hair everything looks natural. I am also looking out for styles that are in right now like the wavy and natural hairdos on lace front wigs. I can definitely have this style every day! The color is perfect, the style is fab and the length is always been my preferred length of hair. This style has been getting likes and somehow a popular style customers are purchasing. I am eyeing for this one and I am glad to know that BestHairBuy accepts Paypal payment. 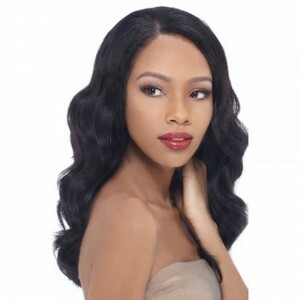 I will definitely check how the ordering system from this online shop and I are excited to try and be extra beautiful with my Indian Remy hair front lace wig soon! I hope this can help you decide on getting hair wigs and hair extensions online. 5 Frugal House Cleaning Tips to Save You Time and Money! Spring has sprung and there’s no better time to get all the dust and germs that accumulated over the winter out of your house with the help of onlycanistervacuum. Though it may seem far off, the holiday gift-giving season is not that far away. Instead of spending loads of money on Spring cleaning supplies, here are 5 frugal house cleaning tips to save you time and money. One of the best house cleaning tips to save you time and money is to take a lesson from those who came before us. During the Great Depression, the economic situation was so incredibly bad that people were forced to reuse and recycle anything they could. Before you run out and spend money, look around your house for things you can re-use or recycle to help keep your house clean and save money. Cut up an old shirt or other material into squares and roll or fold into the container with a natural solution made of vinegar, tea tree oil, and other essential oils. Used coffee grounds eliminate odor. Put them in a bowl in the fridge to eliminate odors. Replace every other month. Re-use your sponges by running them through the washing machine with baking soda and vinegar on gentle cycle. Stop spending money on paper towels. Use microfiber cloths for cleaning instead. Throw them in the washing machine with the sponges to clean them. Use dryer sheets to freshen just about anything! Clean up after meals and other tasks as you go to save time. One of the biggest tips professional house cleaners and organizers will give you is to clean up after meals and other tasks you go throughout your day to save you time. Throw away wrappers and put things back into cupboards when you’re done with them. Pick up shoes and other things from the floor instead of walking over them. When your floor is kept free of clutter, it takes no time at all to grab a vacuum cleaner and run it over the carpets to keep the house looking fresh and clean. Always practice the "clean as you go" method and everything will go smoothly. Sickness is a state where the physical and emotional side of you being a human being is affected. Even when a family member of ours got stricken with illness we are greatly affected by it. Sickness can mean a lot of things, medical assessment and analysis can be down just to come up with a medical diagnosis. From there a physician or a medical personnel can decide on what drugs to give to alleviate symptoms and help the patient go on with his or her everyday routine. I am inspired to write something about this mother and son journey in battling the disease called Dementia, Molly and Joey Daley! For months now since I first saw them on one of my feeds on Facebook, I started to follow them, their video blogs on YouTube and every update Joey posted on the group Facebook page mother and son's journey with dementia. As a daughter, a mom and a medical practitioner the videos that Joey posted drew me closer to what the family's undergoing. Molly Daley recent photo from the group page, posted by Joey Daley. Somehow, the traits that Joey is being shown and possesses as what the viewers see it especially on my perception is somehow the same traits of what a Filipino family will do and can do to assist a family member in need of care and love. I am lucky that I was able to experience time with my grandparents from both sides of my family. My grandmother whom I called Nanay imparted so much to me that until now I am living up to those words she uttered. There was a time that she was debilitated with sickness. Until that sickness scummed her. She lived a pretty interesting life around her big family. Raised in a tradition and being accustomed to helping your elders in the family to cope up life in late-stage can be a typical scenario here in the Philippines. 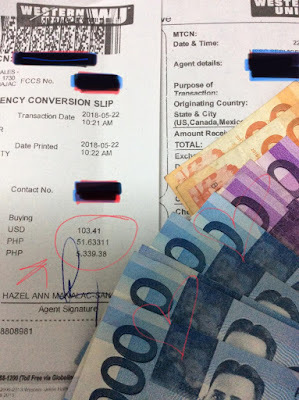 Filipino families live in an extended family household is one way to show assistance and help to our elders. In some family, set-up elders are being situated in a care-facility which Molly is in currently. With the assistance and supervision of medical and care staff, she is being taken cared off. From food, medicine and other help assistance the facility can provide. Joey and his sister take turns in visiting their Mom and making sure that they spend more time with her like everything is normal. Molly loves Wendy's frosty and that would be their last stop on the day after Joey's visit and been shown in the vlogs. Joey exemplifies the kind of a typical Filipino, who never neglects the existence of his Mom, Molly. The latest episode broke my heart along with Joey especially with Molly who got frustrated because she gets tired of not knowing what to say although she wanted to say something. That is how her kind of dementia is debilitating her. Lewy Body disease can make you go back from current time and age to the time you were an infant. Unfortunately, Lewy body Disease is progressive, affecting mainly the thinking, memory, and movement. The disease gets worse over time and no cure. One of my favorite photo of me and my kids, taken years ago. During this time, family members play the strongest role. Support and understanding are the care of everyday life when sickness strikes. We need to be strong and never let our fears sets in. Fear will eat us up and we cannot move a step when we fear. Surpass sickness with a strong faith and love from your family. I can call myself lucky that my folks are still around to witness their grandchildren grow and become an individual in their own ways, making them proud! When the time comes sickness will be the reason for them to battle, we know that we have our family with us to come together. Always keep the faith strong. I hope your family too! Vinegar is one of the common liquids we can find in the kitchen. It has a distinct cloudy-white to clear yellowish brown color depending on the variety. The smell of a vinegar can be unpleasant, sometimes it is overwhelming with a pungent scent in it. There are lots to even hundreds of ways to use vinegar in every corner of our home. The purpose varies from cooking and cleaning and a small amount of this mighty and powerful liquid can make a big difference. 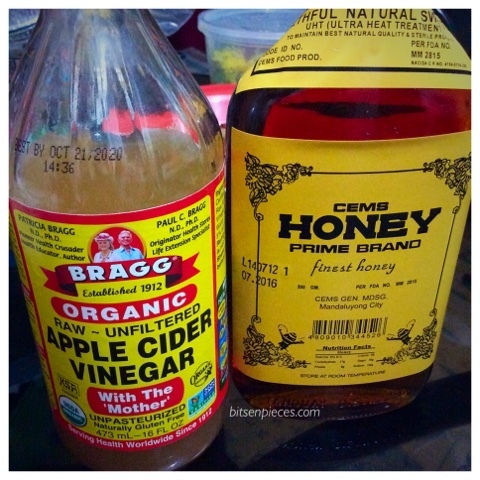 I am listing some of my home and personal use of vinegar in my everyday life. You can always find a bottle of vinegar in a typical Filipino household which mainly used for cooking. Cooking with vinegar makes dishes last longer and will prevent from spoiling, a very good example is Adobo! Adobo can be prepared, cooked and stocked for days even without putting it in the fridge. Adobo became popular all over the world with the combination of salty, sweetness and a hint of a sour taste at the end of every bite. Vinegar can be used as a cleaning agent. It can remove stains in kitchen counter tiles- combine a teaspoon of vinegar in a basin of water and use it to wipe kitchen counter tiles. Goes well with cleaning your refrigerator- instead of using soap use the solution you made, it's a good and powerful deodorizer too. Cleans water stains in the bathroom faucet and shower handles. It can unclog kitchen and shower sink drains- by combining vinegar and baking soda solution fill-in your drain and leave it a few minutes to settle and rinse. Repeat the procedure every now and then. Coffee maker cleaner- hard to get those coffee stale and having that odd taste after brewing. Time to clean the machine by running a water-vinegar solution to it. I've done it several times already and it worked perfectly! Vinegar became more even popular because of its health benefits. People became crazy about Apple Cider Vinegar mixed with honey and a brand was known because of its popularity. Well, for me as long as it is natural I can always say its safe, well, of course, taking it moderately is always the safest to go to. Aren't we so lucky to have this powerful liquid around? It can make our everyday life easier, clean and healthy at the same time. It's been over a year now since we bought our mountain bikes and now it deserves some pimping with new sets of accessories we got last weekend. Though the items were not the top of the line bike accessories we love what we got. Bike accessories are not cheap, they cost a fortune at times but in real life you can enjoy a hobby with not to much pricey on accessories. As long as it serves the purpose right we are good with it. And, our bikes needs new lights as we mostly ride our bikes in the afternoon to night. From our last bike ride one of the tail blinkers got broken and that was the main reason we dropped by the bike shop. 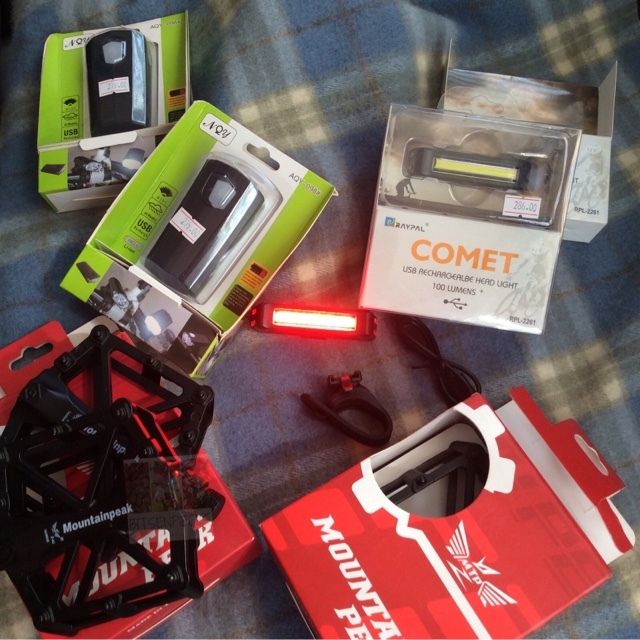 Some of the items we got are bike tail blinkers, front light and new sets of pedals. 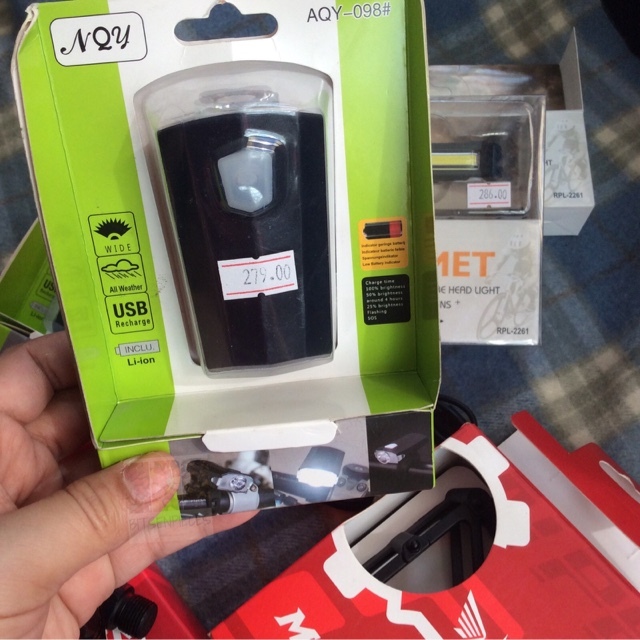 This can be recharge through usb charger will save buying double A batteries. It has this rubberized and adjustable clip holder. The light can be adjusted in three modes. It sells Php 286 each. 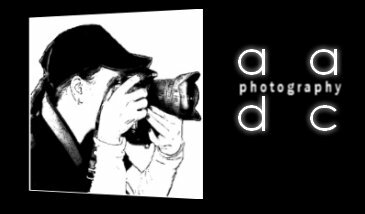 It has a wide light coverage with several modes to choose from. This will go perfectly well in front of our bikes. It also has a snug fit rubber holder clip that holds the unit in place. 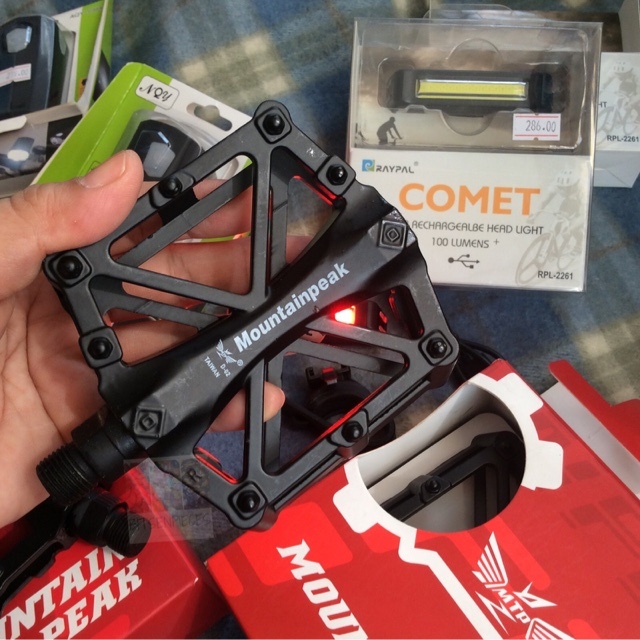 We also got our new pedals from Mountain Peak. It's an alloy metal pedals which is a little lighter than we are using. Ours was made of plastic and the grip wasn't that good. The pedals has semi-pointed spike all-around the pedal body which can grip through our bikes shoes. Each set costs Php 350. Since we got two of each items we were given a little discount, enough for a jeepney ride back home haha! Since the time we bought these new accessories we not taken our bikes for a spin because of the hectic schedule. We might have time this weekend and enjoy Subic Bay while on our bikes. 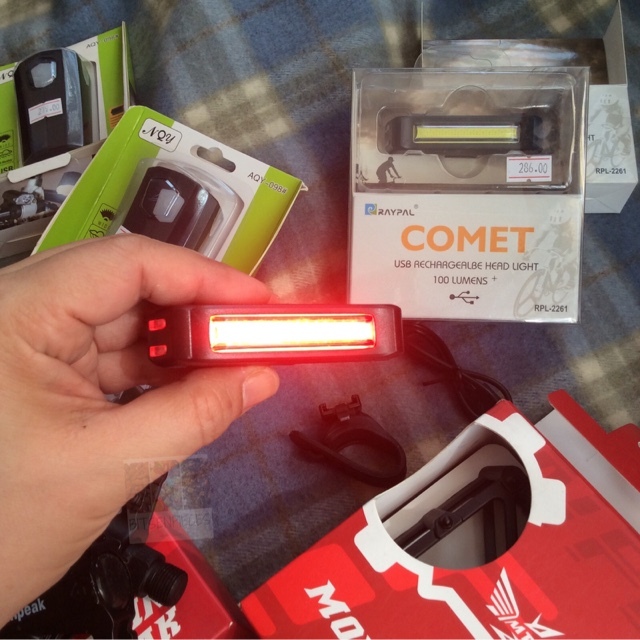 I know there are way more fine bikes accessories in the market but if your budget constrains you purchase the one you need the most and take advantage of your hobby.